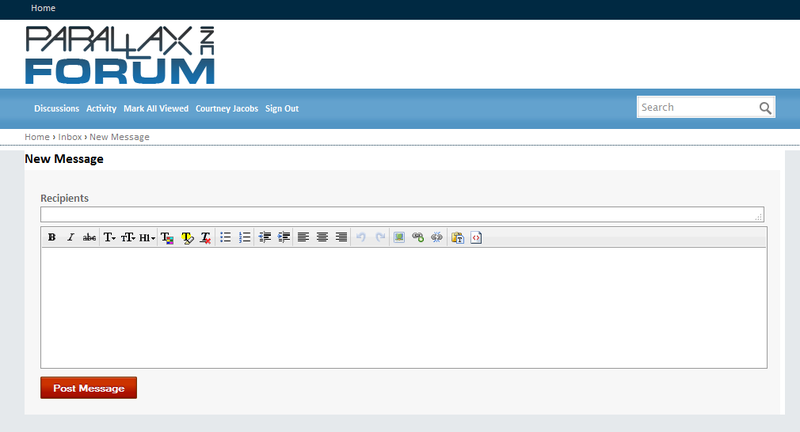 So there has been a lot of conjecture that PM's (private messages) went away with this version of the forums. This is not true. The Activity section of a person's personal page is not for private messages, it is for messages meant for public viewing on the Activity feed page. Follow the steps below to send a private message to another user. 1. 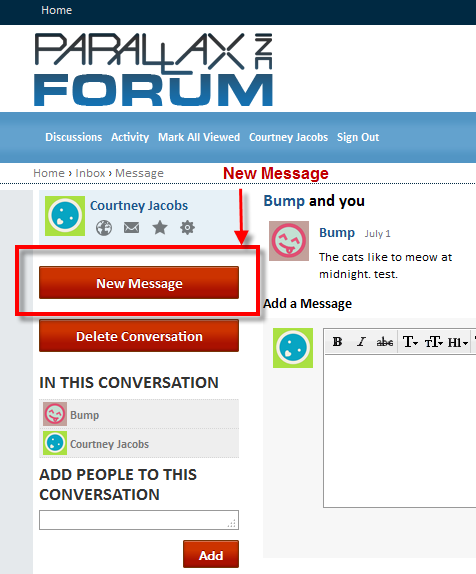 Creating a PM from a discussion list screen, a forum thread, or the home screen. Navigate to the top left area of the screen, next to your Avatar image. Click the envelope icon for "Inbox"
2. If you are on someone's personal page and want to Private Message them. Click the big, red New Message button on the left-hand side of the screen. Enter the recipient's username, allow it to auto-fill, and then enter your message and click "Post Message." I tried it out, I think. I may have sent the same message several times. Or perhaps not at all, I don't see a "sent" folder anywhere. 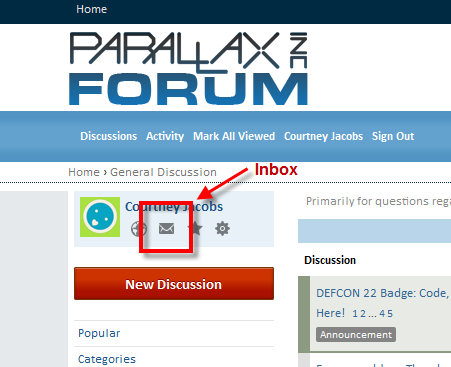 Roger - if you go to the top left of your page, by your name you will see an envelope icon labeled "Inbox". 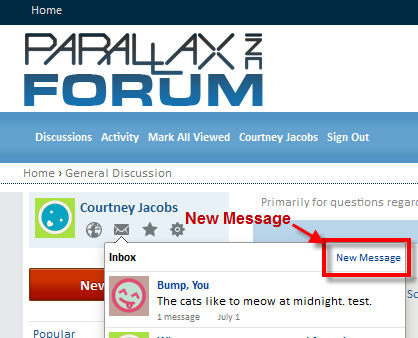 If you click on that, you can see what messages you have sent, and the subsequent replies! Looks like the first one did not get sent. I must not have pressed the button hard enough. Second try worked fine.